This is guest post by Ian Hogarth, co-founder of Songkick, relates how 45 startups in London’s East End got tired of being over-shadowed by the financial sector in London and created their own event to lure wanna-be startupers. 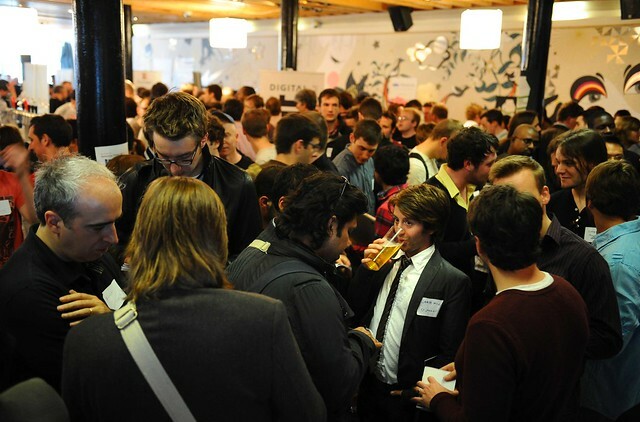 Sunday 15th May was a significant event for the London start-up community. 45 start-ups from across London gathered in one room with a single purpose – preventing banks and consultancies hiring the best UK engineering and computer science talent. In the Bay Area the biggest recruitment challenge start-ups face is how to stand out from the crowd, with so many start-ups and a hiring boom. In London the start-up ecosystem has a different problem – developers aren’t aware start-ups exist. Most UK graduates in computer science assess their options via the ‘Milkround’, a giant careers fair held every year on university campuses across the UK. Banks, consultancies, Google, Microsoft and others spend tens of millions advertising to graduates and without the density of Silicon Valley, smaller start-ups are drowned out. 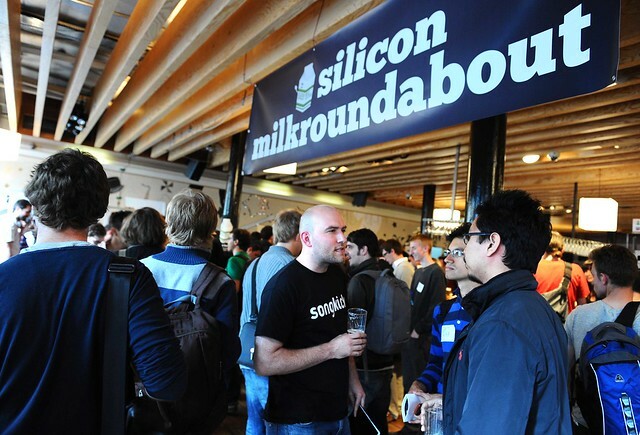 As a step towards correcting the balance, we organised a careers fair focusing exclusively on development jobs at London start-ups – the Silicon Milkroundabout. 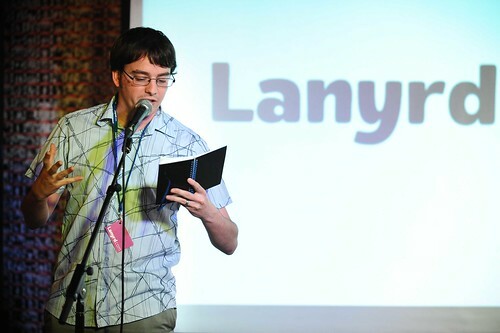 We hoped to round up 10-20 start-ups and a couple of hundred developers. It turned out that appetite for the event far exceeded expectations and within a week the event had attracted 1200+ developer applicants from universities across the country. Over 45 start-ups joined in, with a waiting list of another 40 start-ups who wanted to be involved in the next event. Across the start-ups attending we represented over 150 development jobs from fashion (Ly.st) to gaming (MindCandy) to printing (Moo), with a mix of established and very early stage start-ups. The line ran down the street and we took turns managing a doorlist on the day, to ensure that no rogue recruiters made it in. The whole thing came in on a budget of less than £15,000 split between the exhibiting companies. Straight start-up hustle. Many companies are already in the process of closing hires from the event. The other interesting aspect of the event is that many of the attendees were already in employment, at banks, Google, the BBC and elsewhere. The event was such a success we’re going to set our sights much bigger next time. We’re going to run a follow up event in the Autumn to coincide with the main banking recruitment drive, targeting 5,000 developers and over 100 start-ups. Sign up for the next event here and a similar hiring fair coming up from local co-working space TechHub here.